Registration is now closed. Please visit the registration desk in the Weimer K. Hicks Center to sign up for the weekend events. The desk is open Friday, October 19 3-8 p.m. and Saturday, October 20 7:30 a.m. – 7:30 p.m. Go Hornets! ClickTap each event to see more detail. I am willing to be contacted by a current student throughout the weekend for career and professional networking. Please give names of all adult and child guests that will attend with you. ClickTap "Add Guest" to add each guest. Please confirm your schedule below, indicate the number of guests attending each event, check any special requests that apply, and clicktap "Submit Registration" to continue. I would like information about barrier-free accessibility on campus. I DO NOT wish to have my name appear on the "Who's Coming" list on the Web site. One of my party has dietary restrictions, please contact me. 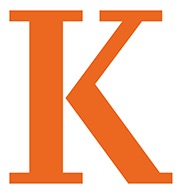 Attendance at this event constitutes an agreement with Kalamazoo College concerning the capture and use of my image, voice or likeness for educational, academic, advancement, or research purposes. The intended use of these images or recordings includes print publications, streaming video and other forms of on online media. The images and or recordings are the property of the College and will not be sold for profit.